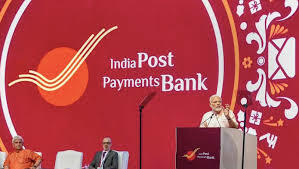 Government of India launched the India Post Payments Bank which is a subsidiary of Postal services Department won’t be a full-fledged bank, but it will provide basic banking facilities to the customers like a savings account, current account, money transfer etc. Post Office Savings Bank account. With the similar names and with the same entity providing both of these services. As per RBI’s directive, the IPPB can only provide simple savings account opening service to its customers. The main aim of the IPPB, as described by the government, is to connect the one and a half lakh post offices across the country. In addition to the bank, customers will also be able to utilise services like bill payments and money transfer. In future, the IPPB will also be providing financial products like pension schemes, mutual funds as well as Insurance. The government entirely owns this new India Post Payments Bank initiative, and it will operate under Indian Postal Services. The government will be setting up 650 branches across the country for this new service and will also have 3,250 access points to conduct the banking services. The IPPB will allow the customers to open three different types of account with one of them being a regular savings bank account with 4% annual interest rate. Customers of IPPB won’t be issued an ATM card for withdrawing their money instead a QR card will be provided to them for making transfers. The bank will also be offering a door delivery system for withdrawal which will be charged at Rs 25 per cash transaction, and the postman using the QR technology will verify it. Unlike other bank accounts, the IPPB account won’t come with a minimum balance requirement meaning that interested customers will be able to open a bank account even with Rs 0 balance. However, there is a maximum limit of Rs 1 lac in the IPPB account, after crossing which, the customers will have to transfer their amount to the linked Post Office Savings Bank account. There also won’t be any chequebooks for the IPPB, and the users won’t be charged anything for transacting. However, while making digital payments or transacting using the door delivery system customers will be charged Rs 15 per transaction and Rs 25 per transaction respectively. In contrast to this, the Post Office Savings Bank account requires the users to maintain a minimum balance of Rs 20 and to get the chequebook; customers must have at least Rs 500 in their bank account. This account also offers 4% interest similar to the IPPB.